A man was reportedly stabbed multiple times during a robbery at a Sand Creek Avenue apartment complex Wednesday, February 17, 2016. 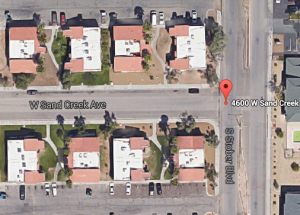 According to The Las Vegas Review-Journal, police responded to “apartments in the 4600 block of Sand Creek Avenue, near West Twain Avenue and South Decatur Boulevard, where a man had been stabbed 10 times.” The news outlet reports the stabbing occurred during a robbery at the central valley apartment complex, around 6:00pm. Police are still searching for the assailant. Residents and guests of apartment complexes have a right to feel safe and secure within the community. The Murray Law Firm questions the level of security provided at the apartment complex, and whether this stabbing may have been prevented. How did the assailant gain entry to the property? What parking lot security measures, such as bright lighting, surveillance cameras and security patrols, were in place at the time of the shooting? 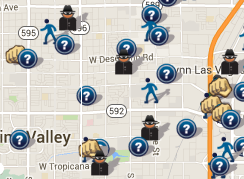 Recent crime reports reveal a number of area crimes, including multiple assaults and robberies. Have any additional security precautions been implemented by the apartment complex owner or management to deter such crime?